Er, um, is it supposed to be a big revelation that "consumers" don't give a fly fornication about a company when they buy or use PRODUCTS? Advertising people don't really believe in all that "relationship with the brand" hooey, do you? You come back to a particular product because it's valuable to you, period. 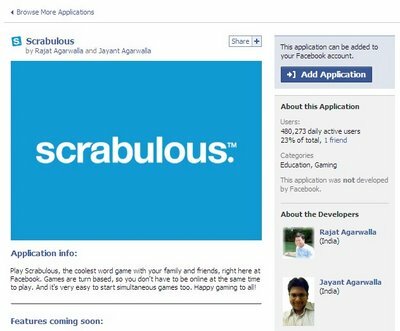 The physical scrabble game (oh no it's lower case) has been owned by multiple different corporate overlords over time -- NO ONE CARES. It's the product, not the amorphous maker, that matters. I think advertising vastly overrates its own importance, out of necessity of course. Sometimes I wonder under what rock big corporations live. Wasn't it easier to hire the Scrabulous guys or give them a stake in the company?